I used these guys for a couple years and had a wonderful experience. They were incredibly helpful and I will use them again whenever I need a storage unit. Great folks to deal with. Secure, reasonable and convenient. This is storage of the future! Professional, clean and managed by people that care about their business. Shirley is the owner and manager, she is available to help at a moments notice. She doesn't push into something you don't need, rather guided to what is best for your storage items. After looking at all the places out, this is by far the best operation! The facility is sparkling , the staff attentive to your needs, and a pleasure. I would recommend this be your first stop for storage! Extremely clean and modern facility. Shirley (owner) goes out of her way to accommodate her customers! Service is Job #1!!! Excellent service, security, and appearance. Recommend to anyone looking for storage in the West Knoxville or Lenoir City area. The owners are more than accommodating, helpful and cheerful. I highly recommend this facility. Very clean clean and secure. My experience at your facility was the best !! You especially and the facility are terrific. Yours is as good as it gets . Thank YOU for a GREAT experience . We are very pleased with this facility. We are using the climate controlled area. We used Secure Pack Storage for our belongings after a move from CA to TN. I must say that the facility is spotless, always kept clean and neat. The staff is so friendly and helpful and even offered water and snacks which was appreciated as we unloaded in the heat. I highly recommend them. Highly recommend this site. Owners friendly and more than accommodating client needs. We stored a motor home and were extremely satisfied with our experience. Shirley reached out to me personally after my online reservation. She was very helpful and even gave me tips about using other services and locations for moving before my commitment to rent from her. Debi was very friendly and knew who I was when I arrived. The unit was clean and open to expedite my hourly based moving charges as well. Impressed!" Newer facility, very secure and great staff. Try it you'll like it! What a clean an well-maintained facility you have. Thank you for being so kind and helpful. I will be sure to tell everyone! We currently have 3 storage units at Secure Pack Storage. We can not say enough about how wonderful the owners are! They went out of their way to help us make our move as painless as possible. The storage center is kept beautifully. We were so impressed and feel so lucky that we found Secure Pack Storage! This is a 5 star place!!! We relocated from Indiana to the Loudon area early this year. Was lucky enough to find them on the web and was very comfortable from the web site. When we arrived to the site; completely surprised with the pride, efficiencies, and cleanliness of the entire campus. The owners have thought out every detail to a "T". Secure, well lit, with.... BONUS!!.. mobile app for access through the gates and account management. Prices are right in line with other facilities but guarantee you will not find another diamond like them. Wonderful facility run by super-nice people! Very helpful and accommodating! The nicest storage facility I've ever used. I have one indoor, temperature and humidity controlled unit and one outdoor unit. The units are very clean and the facility is very secure. Free water and restroom facilities in sales office. The owners and staff are extra nice and so far its been an enjoyable rental process. I highly recommend. Very clean and very professional staff. It is air conditioned and has very good security. Also they provide bottled water because moving can definately make you thirsty. I moved out and was still charged for the next month. They took care of it immediately and was willing to do anything and everything to make it right. I would highly recommend to anyone especially single women, seeing how the security is so good. The best storage facility I have ever done business with. This is the best storage facility I have ever done business with. The owners are genuinely nice and worked around my hectic schedule. I feel very safe here, even when I had to move my stuff in at night. They have a code access lock system that makes me feel more comfortable coming here alone. They went the extra mile to make it welcoming. Also the prices are the best I have found. New storage facility with many features like a dump station and covered out side units. Easy to get in with a big rig and easy to get back in with code access on your smart phone. Camera surveillance and high fenced area plus a staff that is working for you keeping your items safe twenty four seven. Nice, very nice----storage sheds and owner. Very clean, secure, and well managed. The staff was very friendly and helpful! I highly recommend this facility! Friendly, secure. Involved owners brought us water bottles while we were moving a bunch of things in one evening. A great setup, convenient to get in and out. Absolutely The Best Storage Facility In The Area. The Owners Are Incredible People. The best storage experience I've ever had. 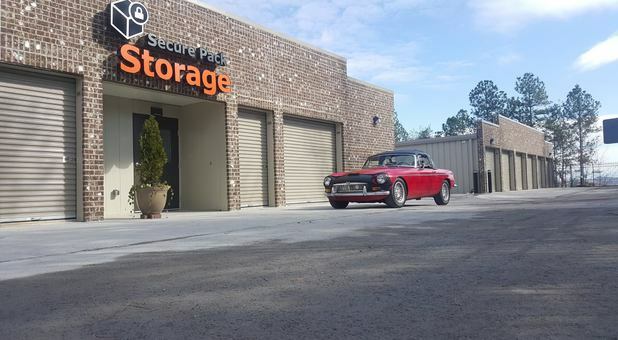 This is a place that makes storage pleasurable instead of miserable. I would highly recommend this place to anyone. This is a great place. The staff is extremely helpful. The units are clean and secure. Need a place to store in Lenoir City, this is it. Wonderful people that run this storage facility. Very nice and clean. Mark & Shirley are the greatest. We are so glad we were able to get a covered unit for our camper. Would highly recommend them. Everyone is so helpful and nice. I would recommend this to everyone looking for a storage facility. The perfect storage facility. Lots of room. Secure. Convenient. Reasonable. We had looked extensively for an outside storage facility near Tellico Village. None were available at the time we needed it. We saw a post on NextDoor about this facility and visited it even before it was finished. The owners, Shirley and Mark, are so nice and allowed us to pick out a spot even before the grounds were finished. We had our trailer at another facility until this one was ready, and moved as soon as we could. It is a very secure, gate-operated storage facility, right past I75 on 321. Very convenient location for traveling. They also have a dump station which is an added plus. We even received a hand-written thank you note from them! Who does this anymore? You will not be disappointed in choosing them. They also have covered storage and individual storage units onsite. When I stopped by Secure Pack Storage I was impressed at what a clean and modern facility their storage building was. VERY mover friendly - from the ample amount of room to turn around your moving truck, to the soothing music at the unloading site and the attention to detail with ascetically placed flower pots to a Smoky Mountain pride theme. The owners Shirley and Mark were very informative, helpful and kind. I would highly recommend their business to anyone in need of self-storage, RV storage or boat storage. You won't regret it - and your belongings will be in a safe hands. Very conscientious and considerate of the client's needs. We feel our treasures are secure and very comfortable there. The layout is so convenient with a fluid, easy entrance and exit with no crazy corners to maneuver. The people there are so friendly as well. Wouldn't go anywhere else for my storage needs. The cleanest, safest and nicest storage facility I do believe I've ever seen. Don't see how I could be more pleased.